Being highly displeased by the sounds that are around us, or feeling attacked by our environment is not a crazy thing, it’s actually more normal than what you think. 20% of the population are highly sensitive people, but this doesn’t need to be a bad thing. Highly sensitive people have great ability to listen and knowing how to comfort someone, but first it is time to get to know yourself and how you can actually control what you feel and how to face the things that are surrounding you that can make you uncomfortable. 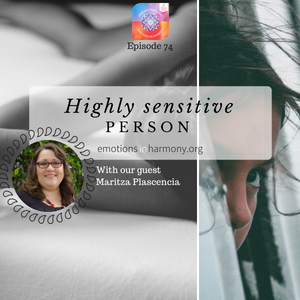 In this great opportunity Dr. Carmen Roman and the therapist Maritza Plascencia will be talking and explaining exactly what is a highly sensitive person and how to help them or yourself to understand better how you can be comfortable being who you are. Maritza was born and raised in California, now located in the Orange County. She’s a passionate bilingual therapist that works with couples and individuals to help them gain a sense of direction if they’re feeling disconnected. Next PostEscuchando tu cuerpo -Meditación.